Dave Conrad, assistant director of the Rochester MBA program, wrote in his latest column for the Rochester Post-Bulletin about the ins and outs of firing an employee. Conrad suggests a checklist, of sorts, to weigh the options when deciding whether or not to dismiss an employee. “Because terminating someone is such a big decision, it helps to have an unemotional and objective way to measure the impact of the decision,” Conrad said. 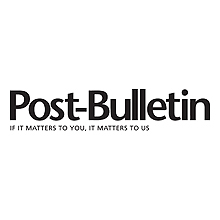 To read the article, visit the Post-Bulletin news site. 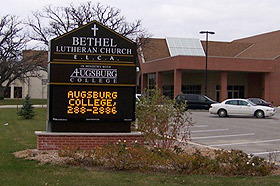 Augsburg College’s Rev. John Matthews, an adjunct faculty member at the Rochester location, was awarded the prestigious Charles H. Hackley Distinguished Lecture Award on May 8. Matthews is a founding member of the ELCA Consultative Panel for Lutheran-Jewish Relations whose work is part of a permanent display at the U.S. Holocaust Memorial Museum. 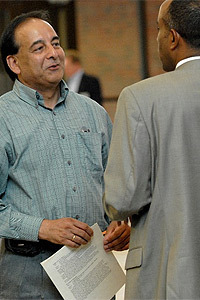 Read “Local pastor receives award” in Sun ThisWeek. Augsburg College will celebrate the tenth anniversary of the founding of its Rochester program with an open-house reception on Tuesday, Oct. 28 from 6:30-8:00 p.m. at the Rochester location in Bethel Lutheran Church, 810 3rd Ave. SE. A short program will begin at 7 p.m. with comments from Augsburg College President Paul Pribbenow, Barbara Farley, dean and vice president of academic affairs, and Rick Thoni, the founder of Augsburg’s Weekend College and Rochester programs. For many graduate programs, the last hurdle between students and their diplomas is a massive thesis paper that demonstrates all that they’ve learned. Augsburg’s Master of Business Administration (MBA) program in Rochester has a different hurdle for its students: complete a management consulting project for a local business or non-profit organization. 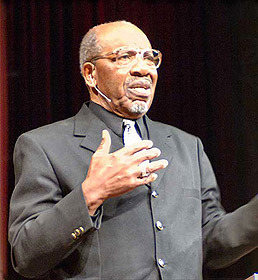 This month, the Augsburg Rochester location will hold its first convocation featuring John M. Perkins, a minister, speaker, and teacher. His address, titled, “When the Foundation is Destroyed, What Can the Righteous Do?” will be given at Bethel Lutheran Church on Tuesday, May 20 at 7 p.m.